Methyl cellulose may sound intimidating, but it is just plant fiber that has been processed with caustic soda. 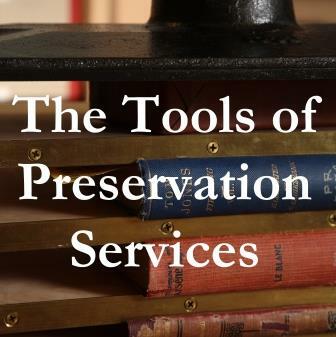 Preservation and conservation labs use methyl cellulose as an adhesive to secure papers and boards. 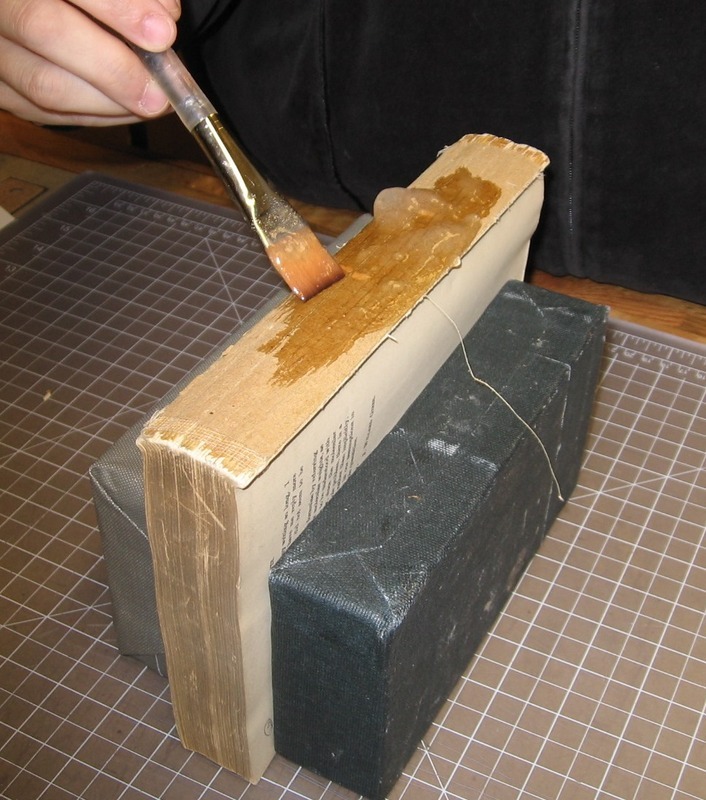 It’s also used as a poultice to loosen and then clean off old paper and glue from spines as shown in these photos. Removing a spine lining with methyl cellulose gets rid of old adhesive in preparation for a newly applied spine made of more flexible and acid neutral materials.